According to the National Association of Realtors’ 2015 Profile of Home Buyers and Sellers, more than half of recent homebuyers said the hardest part of the buying process was finding the right home to purchase. Since a home is the largest purchase most of us will make, it is easy to become wrapped up in finding the perfect place that meets all of our wants and needs. We overwhelm ourselves by focusing on checking off the boxes that will result in our ideal home. That’s a lot of pressure! 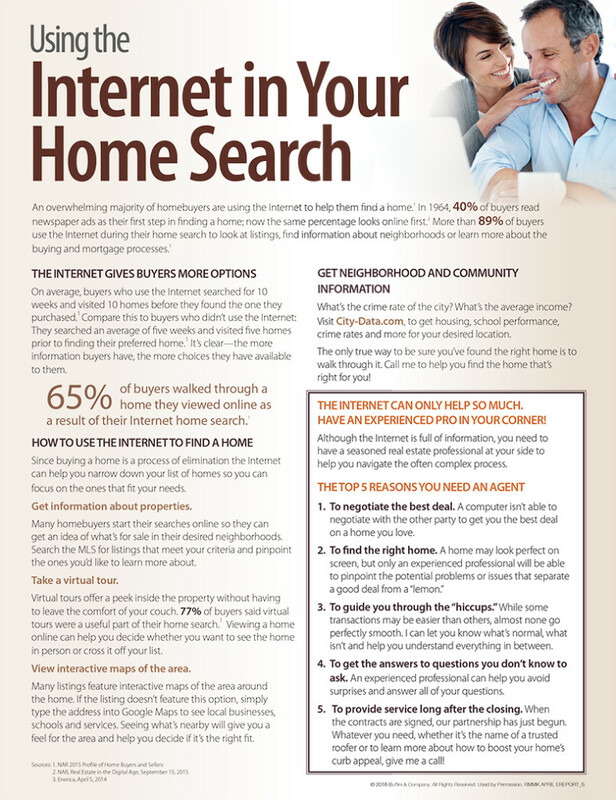 This month’s information is intended to take the stress out of finding the right home. Before you begin your search, there are four things to consider—price range, features, location and lifestyle. These four factors will help you focus your search on homes that meet your needs, allowing you to make the best decision for your family and for your wallet. When you’re looking for a home, you need an experienced professional in your corner to help navigate the process and get you the best deal. If you’re ready to buy, give me a call! I’d love to help you achieve your dream of homeownership.